Establish classroom rules: Start in your own classroom by defining consequences for behavior from the first day of school. Learn the DOE Student Discipline Code: The guidelines the school must follow are established by the DOE’s Student Discipline Code. Become familiar with the code and any variations of the code that your school has adopted. Stand behind that code, too. It might be worthwhile discussing it with your students. Read your school safety plan: This is a plan specific to your building that details every facet of security in your school. Every fall, the safety plan must be reviewed and, if necessary, revised. If you believe your school needs to change or add procedures to address potentially threatening situations or changed circumstances, contact your chapter leader. Report issues and violations: If you experience any safety-related problems, alert your chapter leader. Likewise, if you see that provisions of the safety plan are being violated, or if a principal has not followed the steps required by the discipline code, you should speak to your chapter leader and UFT borough safety representative for advice about how best to resolve the matter. Student removal protocol: If a student’s conduct poses a continuing danger or an ongoing threat of disruption to the academic process, you may request to remove that student from the classroom as long as it is one of the listed infractions in DOE Student Discipline Code. You should consult your school’s student removal plan to make sure you have filled out all the necessary incident forms and followed the correct protocol. Pupil Personnel Team: If you have a student who is struggling academically or social emotionally, or is disruptive to the classroom, you may refer that student to the Pupil Personnel Team (PPT). The PPT is a crossfunctional committee that determines appropriate interventions to help meet the student’s needs. Interventions may include peer mediation, at-risk counseling, a mental health referral, tutoring, extended day classes, etc. Use nonviolent techniques to break up fights or confrontations. Speak loudly to order students to stop fighting. Send for help, by intercom or phone if possible, or send another staff member or a student. Many schools use a special pass with a classroom’s room number which, if carried out of the room, is a code indicating an emergency there. Remember that a trained school safety agent, supervisor or dean can do more than you can do alone, and will serve as a witness if any injuries occur to you, another staff member or a child. DO NOT get between fighting students unless you believe it is absolutely necessary to prevent serious injury. If you are injured or assaulted, seek medical treatment immediately. If warranted, file a criminal complaint report with the NYPD. We also recommend that you contact your chapter leader or district representative as soon as possible for help with completing the paperwork required to protect your rights. Filing delays can cost you. An injury or assault must be reported to the school within 24 hours. The General Response Protocol (GRP) has been designed to provide all schools with the direction they will take when an emergency incident occurs. At its core is the use of common language to identify the initial measures all school communities will take until first responders arrive. In every incident, school administrators will need to assess the unique circumstances that will affect how the GRP is implemented. Each protocol has specific staff and student actions that are unique to each response. In the event that a student or staff member identifies the initial threat, calling 911 and administration is required. Report all thefts to your chapter leader and file a UFT incident report. Our school system has many policies and procedures in place to help educators do the right thing for their students. But as a new teacher, you are bound to encounter situations with students that are challenging to navigate. 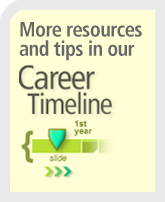 Hopefully, you have a trusted colleague or administrator to whom you can turn for support. If you find yourself in one of the following situations, here is some guidance for making a plan of action. If you have reason to suspect that a student is being neglected or abused, remember that you are a mandated reporter. You must call the New York State Central Register (SCR) for Child Abuse and Maltreatment at 800-635-1522. Your call is confidential, but it cannot be made anonymously. You must provide SCR with the name and contact information for any other staff members who have direct knowledge about the allegations. Both Child Protective Services officials and school employees are prohibited from disclosing the reporter’s name or confirming that the school led the report. SCR will provide you with a call ID number, which you must share with your principal no later than the end of the school day. If a student’s behavior is significantly disruptive or a student poses a danger to himself or others, you have the right to have the student removed from the classroom. Your school should have a procedure in place for student removal and a special location (known as a SAVE room) where students can be sent if they are removed from the classroom. Your school should also have a crisis intervention team whose members are trained to help students in crisis. Ask your chapter leader to walk you through your school’s plan. If you believe one of your students is in need of special education services, you can submit a Request for Initial Referral to your principal. You must explain your reasons for requesting the referral; describe any intervention services, programs or instructional methodologies you have tried; and describe the extent of your contact with the student’s parents or guardian. Your school may have a team of educators who meet regularly to discuss students who are academically at risk. The team may suggest strategies for you to try or develop a plan for working with your student. If your principal agrees with your referral, he or she will initiate the process for obtaining parental consent. 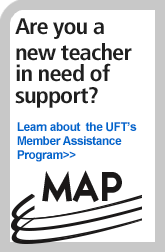 If you believe one of your students is not receiving the services he or she is entitled to for special education or English language learners, the UFT can work with you to help resolve the issue. File a confidential special education complaint or an English language learner complaint.